STUNNING CONDITION 97K MILES!! 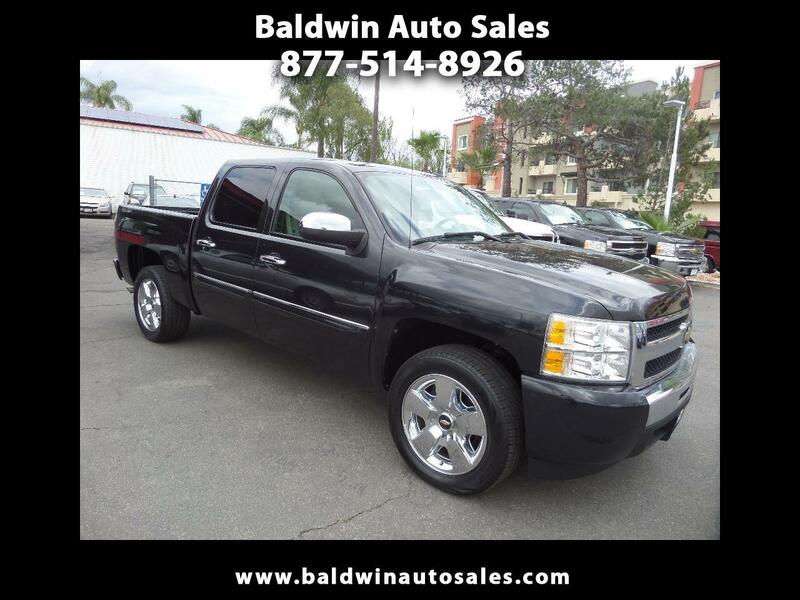 ALL NEW 20" CHROME WHEELS 5.3V8 TINTED GLAS LT PACKAGE TOW RECORDS KEYLESS ENTRY ABSOLUTELY PRISTINE AND SO CLEAN INSIDE AND OUT TOTAL PRIDE-OF-OWNERSHIP TRUCK FULLY LOADED SAT RADIO This truck has incredible looks in jet black with chrome accents. Nicely loaded with power options great towing capability. A 5year/100k mile additional service contract is available and can be used at any Chevy dealer nationwide. None will compare to this condition for the price anywhere and ultra low miles! Non-smoker and always garaged.